Silicium España Laboratorios’s Silicium G5 Siliplant, is the official, updated, improved version and of vegetable origin of the famous Loïc Le Ribault G5. Organic silica formula for osteoarticular and general wellness, essential trace element in many biochemical processes at the cellular level. Positively intervenes in a wide range of homeostatic imbalances. Loïc Le Ribault’s natural organic silica that encourages overall wellbeing and healthy bones and joints. It contains 360 mg of silica per litre in monomeric form, a formula containing orthosilicic acid, stabilized by an organic compound in order to prevent any polymerization. This oligo-element is essential to many biochemical processes at the cellular level. It has a positive effect on a broad range of homeostatic imbalances. In its bio-available form, silica is an important ingredient in collagen, elastine and connective tissue in general, and in the molecules connecting the cells. Many studies confirm the effectiveness of G5 Siliplant along with its application in gel form on a wide range of pathologies affecting the joints. Moreover its use over many years by health professionals has provided documentation and evaluation of a large number of cases with positive results on a wide range of problems. Silicium G5 Siliplant is the updated and improved version of Loïc Le Ribault’s renowned G5. This product was first formulated in colaboration with Dr. Le Ribault and is based solely on scientific criteria. It is sold as a food supplement that is fully assimilable by the body and the cells, and provides natural silica in monomeric form. Silicium G5 Siliplant conforms to the new European directive on food supplements, is registered with the Spanish Agency for Food Safety and has in addition a National Pharmacy Code. Silicium Espagne has the exclusive right to use the trademarks ‘G5’ and ‘Dr. Loïc Le Ribault’. DIRECTIONS FOR USE: G5 Siliplant should be taken 5-10 minutes before meals. If possible hold it in the mouth for one minute before swallowing in order to maximize its absorption under the tongue. Intensive dosage: liquid G5 Siliplant, 60-90 ml per day using the measuring cap in 2-3 doses of 30 ml, for a period of 1- 6 months or more if necessary, plus external applications (of liquid or gel) on the affected areas, at least 3 times per day. Maintenance dosage: 30 ml per day using the measuring cap in 2 doses without time limit plus external application 1-3 times per day. The product has no contra-indication or side effects. It can be used by celiacs, vegetarians and women who are pregnant or breast feeding. INGREDIENTS: Purified water, silicic acid, Equisetum arvense, Rosmarinus officinalis. Provides 360 mg / litre of organic silica. 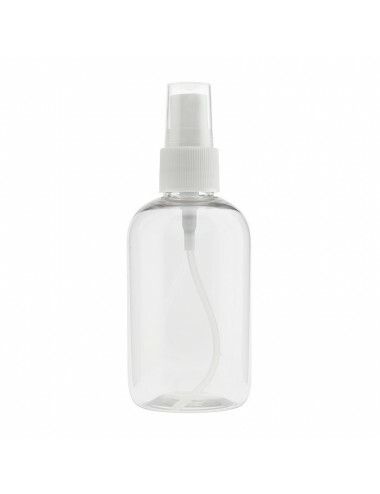 PRESENTATION: 1 litre bottle with 30 ml measuring cap. I have not been using the product for a sufficient amount of time to be able to provide a review. The product is easy to consume as there is no taste. I am taking it to improve my hair, skin and nails. It's too soon to see any changes yet. I am going to give a bottle to a family member to see if it assists them with joint pain. If so, I have a few family and friends who could be interested. My only concern is that postage costs increase the price dramatically, making it more prohibitive. Good becomes even better! The basic supplement you need, really inexpensive since a bottle last for long and if combined with the other silisium and orgono products, a diet and exercise it works womders! My original ORGANINC SILICA REVIEW: I use this as a supplement to secure the improvements brought along by the rest of the Silicium and Orgono products I provide. Having very bad knees and severe injuries along my spine I can guarrantee this works! I have a lot of pain in my body, muscles an joints, since I am in menopause. 2 months ago I fell during a run, on both knees and they hurt since then. I use Siliplant 60 ml per day now for more than 3 weeks + use the gel on my knees, right ankle, hip + on my cheek as I have rosacea since years. Now I feel more souple, the gel works calming on the rosacea, but I still wait for the better longer term effect.